I have had a devotion to St. Philomena ever since I discovered that she delights in confounding modernists and sceptics, with many miracles attributed to her intercession. If she was considered to be a saint by St. John Vianney (the Curé d'Ars) then I'm not going to stop praying to her just because someone (who probably doesn't believe miracles are even possible) says that she didn't exist. 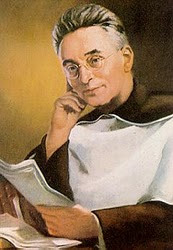 I'll take the side of a canonised saint over a modernist sceptic any day. 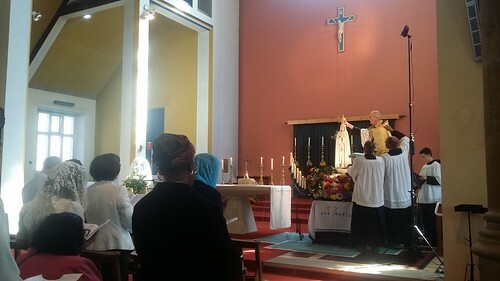 Fortunately, my Parish Priest is quite keen on St. Philomena, and so yesterday we had a Mass in her honour. 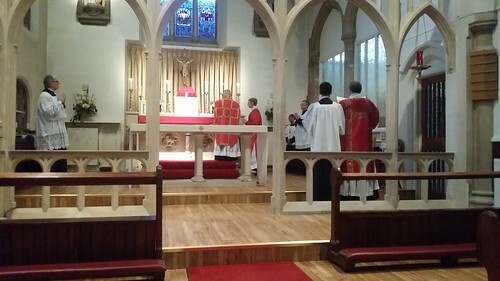 The Latin Mass Society gave a grant towards the expenses of a schola, and we had a wonderfully uplifting Solemn High Mass. The Schola Sanctae Scholasticae sang Tomas Luis de Victoria's Missa O Quam Gloriosum, and his motet O Quam Gloriosum, as well as Tallis' O Sacrum Convivium and the Gregorian propers. It was great to be able to allow the music lift one's heart and mind to God while watching the awesome Mystery unfold on the Sanctuary. 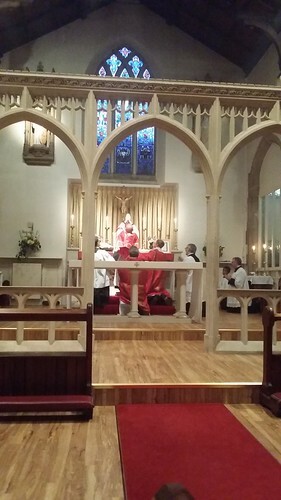 We are created body and soul, and so the external "trappings" of the Liturgy are so very important for the worship of God: the material aspects are not just optional add ons, but are integral to the action of the Liturgy. I took some photos during the Mass, and they are on Flickr in the St. Philomena 2016 album. If you want to read more about St. Philomena, I can recommend the excellent summary on Zephyrinus' blog. 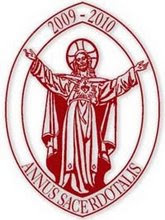 The Schola Sanctae Scholasticae have been instrumental in setting up the Gregorian Chant Hymns website, which, by making various recordings and other resources freely available, is dedicated to promoting the learning and singing of Gregorian chant in the liturgy. As is usual on a Sunday, I spent the morning at church. Friends visited the parish, and so I went down to the sea front... 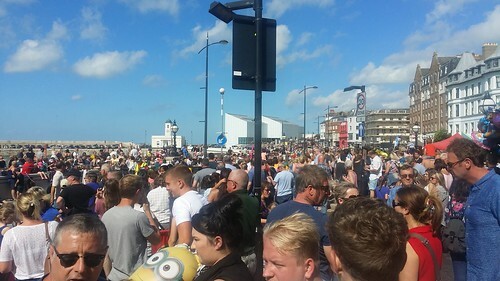 It was rather busy, but the weather was good, and at weekends in the Summer months I expect Margate to be busy. Nevertheless, we managed to sit comfortably in the Two Halves micropub and watch the world go by as we chatted. By the time we left, it seemed to be rather more busy than usual. Jonathan figured out there was some sort of carnival procession happening. 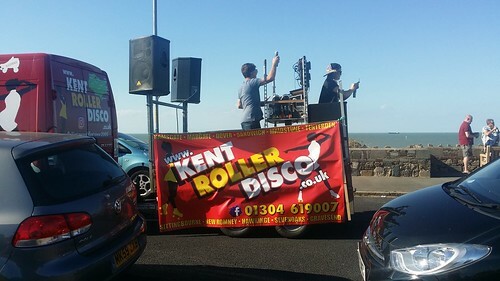 I was pretty sure that it was all happening on the main seafront, and prepared to take an alternative route to the station. Alas, it seemed that the carnival was due to go up past the station, and after dropping Jonathan off so he could catch his train home, I proceded to follow another little back-route home, feeling rather smug that I had learned a few alternative ways around the locality. I was therefore rather disconcerted to find my road blocked off by numerous parked cars and rather a large number of pedestrians all sitting on the grass. A marshall tried to direct me back the way I came. 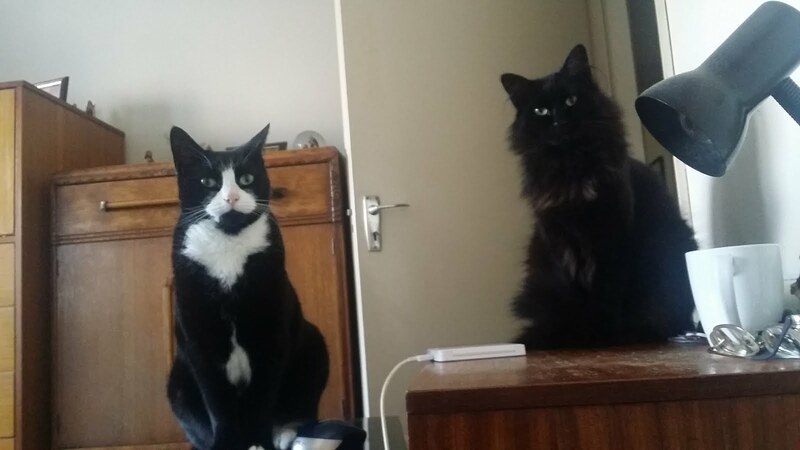 "But I live here!" I wailed. The marshall allowed me through (I'd only just made it in time) and I parked in the first gap I found. 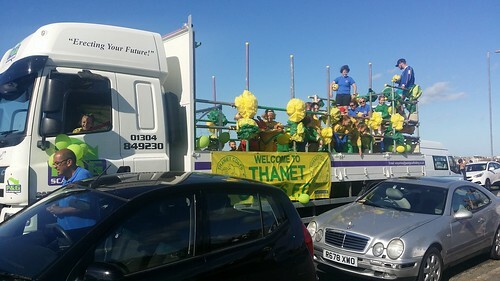 I thought about walking home (I was quite near) but I decided to stay and watch the parade - after all, it's not every day you get to see a carnival. 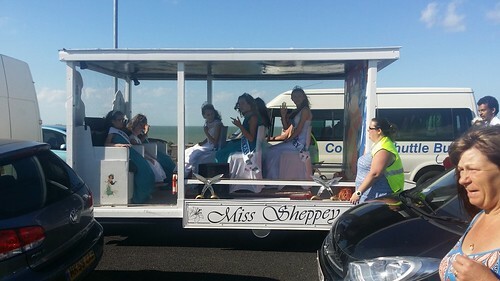 One of my fellow onlookers explained that the Carnival was an annual event, and the route was well-known, so I'm not sure how I missed it last year. Next year I shall be better prepared! More photos can be seen in my latest Flickr album. 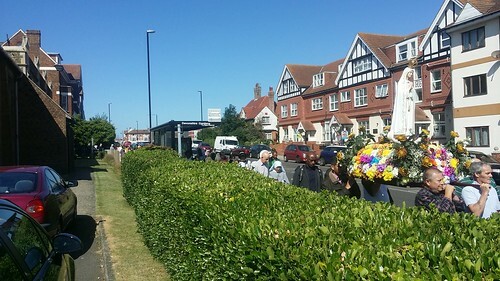 Today we were blessed with what looks to be an annual event here in the parish of Margate. 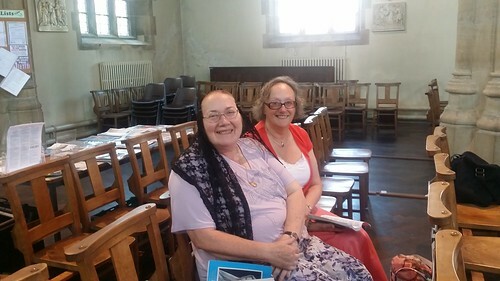 The Day With Mary team held one of their devotional days last year at St. Austin & St. Gregory's Church, Margate. 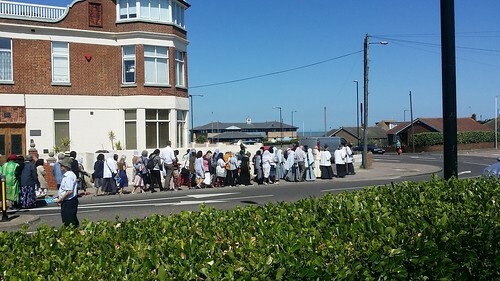 This year it was held at the other church in our parish - St. Anne's in Cliftonville. Mass was next - a beautiful Missa Cantata. Fr. 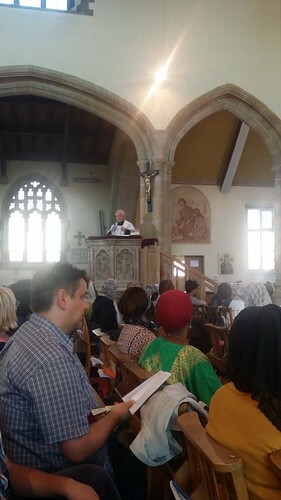 Mark Higgins preached the sermon - he's just arrived as curate in the neighboring parish of Ramsgate. Lunch gave me the opportunity to have a look at the devotional items on sale - I didn't get to check out the books this year - but I was desperate to have a cup of tea, and so neglected to take my usual shots of the books and other items on offer. I will endeavour to do better next year! However, I did manage to have a very enjoyable chat with friends. The final session kicked off with a talk on Our Lady given by Fr. 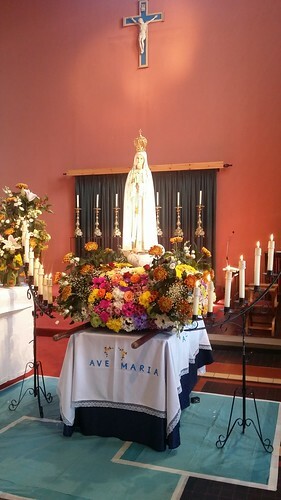 Tim Finigan, followed by the recitation of the Glorious Mysteries of the Rosary, Benediction of the Blessed Sacrament, enrolment in the Brown Scapular and confering of the Miraculous Medal. We ended with the traditional farewell to Our Lady's statue - it makes me cry every time! 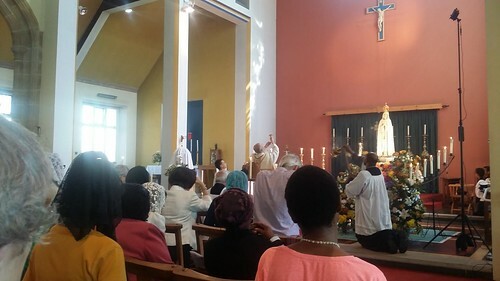 Watching everyone in the church waving little white hankies (in imitation of what happens at Fatima) is unbelievably emotional. 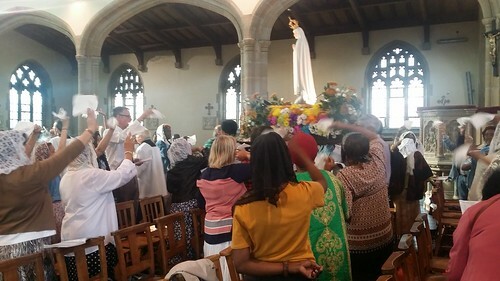 I am sure I have said it before, but, I want to say it again: if you ever get the chance to attend a Day With Mary in a parish near you, even if only for part of the day, make the effort. 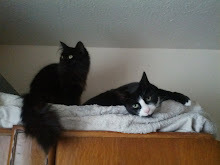 More photos are in my Flickr album.